The European backpacking experience can be made or broken by your choice of luggage. It sounds extreme, but I’m not exaggerating. 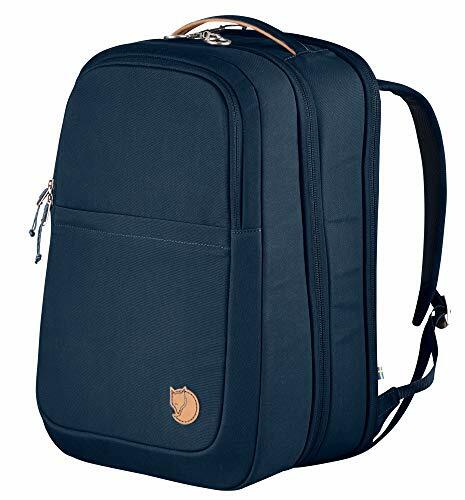 A compact backpack that fits within the carry-on restrictions of European airlines, that is comfortable to carry and easy to use will make your travels a whole lot more care-free and enjoyable. Take my word for it, I’ve been there! But researching for the best backpack to travel across Europe sounds like a bit of work, right? Luckily that’s what I’m here for! This article will review 13 excellent choices to help you choose your best travel backpack for Europe 2019, and then explain a little bit about what to look for when deciding in case you’re still stuck! 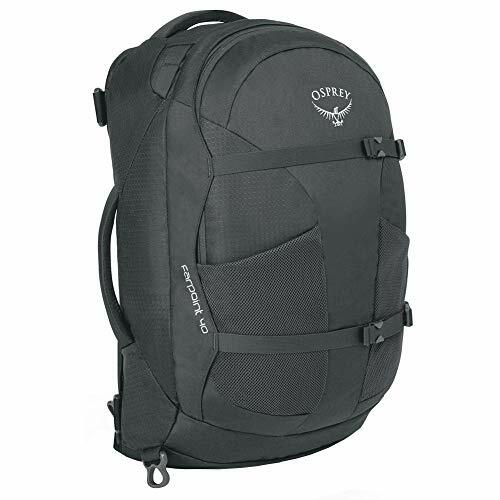 The Osprey Farpoint 40 is probably the best travel backpack for Europe. It is durable, easy to pack, very comfortable to carry and sleek and minimalist on the outside. 22” x 14” x 9” dimensions should be fine for most airline’s carry-on restrictions. What’s not to love about this bag? Front loading for super easy access to all of your stuff. Very comfortable and well-designed padded harness for weight distribution and support. Compression straps keep everything compact and contained. Converts into a duffel bag for easy carrying on and off transport. There is a Women’s specific version of this bag called the Fairpoint. It’s very hard to find a con for this bag! If you can’t be bothered doing any research, just buy this bag for your Europe trip and be done with it. It won’t let you down. 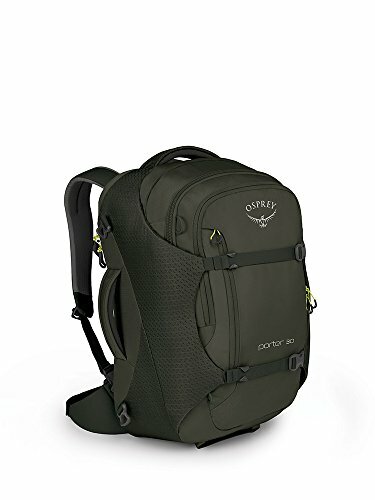 Another great front panel loading backpack from Osprey, this 30L bag will easily fit within carry-on restrictions even when filled to bursting. It’s a slightly smaller alternative to the Farpoint for the minimalist travelers out there, but still plenty big enough for a change of clothes and some toiletries. Stow away harness and hip belt. Convenient padded grab handles on the top and side. Lockable laptop compartment with padded back panel. Comes with D-ring attachments for a shoulder strap that can be bought separately. The shoulder and hip straps are fiddly to stow away when not in use. This is hands down the best small travel backpack for Europe. No matter how much you cram in, you’ll still be well within carry-on limits and it won’t explode on you. This sleek but versatile 40L backpack is easily among the best carry-on luggage for Europe. It has so many great features you’ll be hard pressed to find fault with it. Made from durable 600D polyester with YKK zippers, this backpack will go the distance. The main compartment zips open from the front with an additional bottom compartment for shoes that has a separate front loading zip. The shoulder and hip straps zip away into a compartment when not in use and make way for a padded cross body strap if you want to carry whole thing like a duffel on one shoulder. Plenty of extra pockets and a grab handle on the side. The harness is not vertically adjustable so it’s a one size fits all deal. 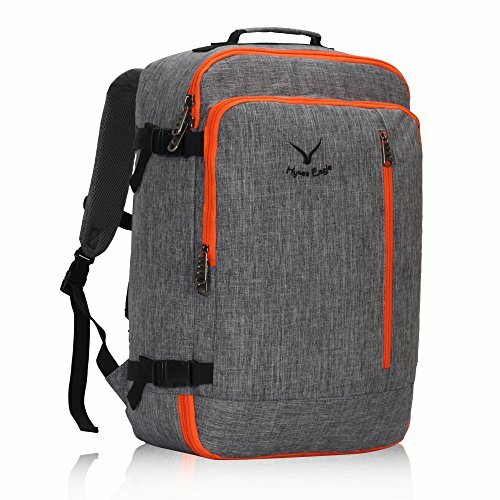 This durable, well designed backpack is easy to use and could be the best carry-on backpack for European travel. 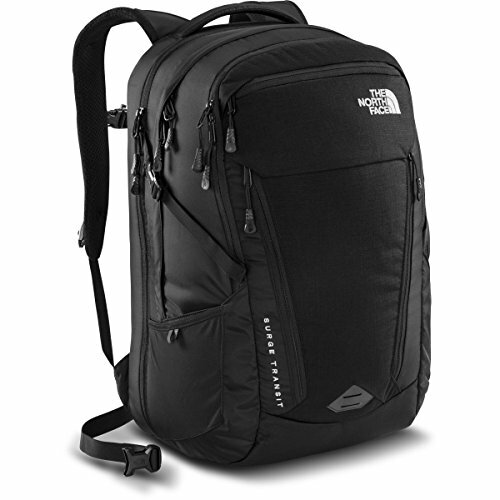 This durable backpack from the North Face is a great option if you’re traveling with a laptop. But aside from that, it is ideal for travel through Europe with its compact dimensions (9.5” x 21” x 14”) and 38L volume. The main compartment is easy to access with zippers that reach half way down the pack. Comfortable padded shoulder straps and breathable, padded back panel. 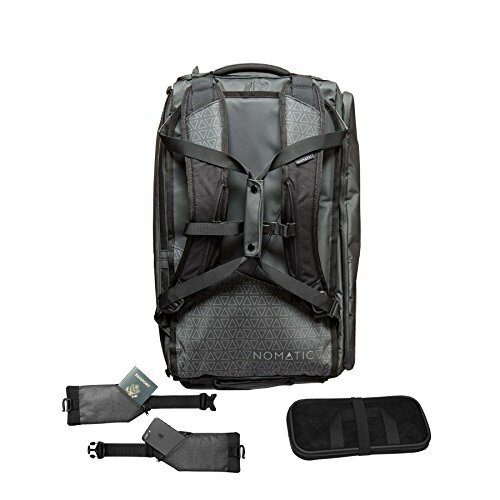 This is a durable option if you’re looking for a backpack that will go the distance and keep your laptop well protected. This is the day hike equivalent of the Porter 30L. It has a little more capacity, and is designed with more comfort in mind from the carrying point of view. It’s ideal if you might combine a few day hikes or longer walks around some Greek islands into the itinerary. Extremely comfortable harness and hip straps. 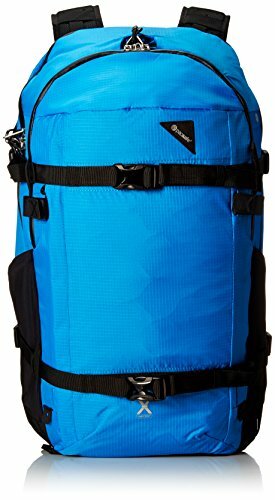 This is easily the most comfortable backpack on this list when carrying any amount of weight. Comes with an integrated rain cover. Breathable and well ventilated so you’ll be happy carrying this in hot weather. Plenty of pockets for organizing your things. Reliable Osprey quality and warranty. Top opening, but the zips come a fair way down the sides so it’s still better than a draw string opening. 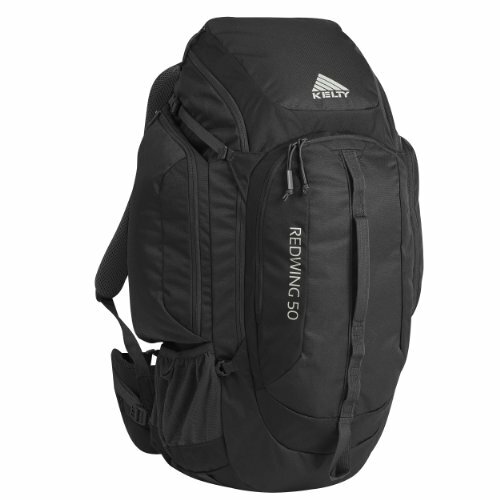 This is the best travel backpack – hiking daypack hybrid which would serve well as a European travel companion. Made of seriously durable water repellent tarpaulin, this backpack is made to be kind the of carry-on sized luggage you can rely on. The harness is comfortable and the bag comes with all of the features we look for in an ideal travel backpack. With 21” x 14” x 9” dimensions, you should have no trouble using this pack as hand luggage. Removable hip straps with pockets for valuables and reasonably comfortable shoulder straps that tuck away behind duffel bag style handles. Plenty of pockets including RFID protected pocket and laptop pocket. 4 lbs. is on the heavy side for a carry-on bag. 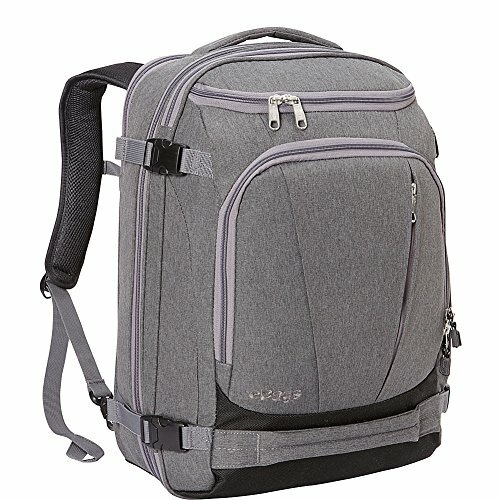 This is a backpack that packs like a wheeled suitcase but wears like a backpack. It is durable, spacious and convenient to travel with. This 50L pack is marginally too big for Ryanair (its dimensions are 24” x 15” x 12”), but could probably fit slightly larger requirements like Easyjet if it wasn’t fully packed, particularly length-wise. Either way, this is the absolute biggest pack you’d need for multiple weeks’ worth of travel in Europe. Comfortable harness is designed for hiking but has a removable hip strap. It has both top opening and panel opening options for extra versatility and convenience. Made of durable 420 D polyester and 450 D Oxford polyester and is water resistant. Large external pockets allow for good organization and quick access. The zippers aren’t really lockable. Too big for some hand luggage restrictions but not an issue if you plan to just travel overland. 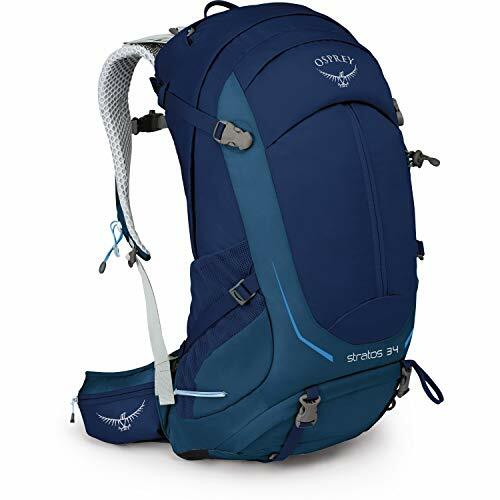 This is a roomy but durable backpack with a very comfortable harness and the convenience of both top and panel zip openings which makes it a great budget option for European travel. With 23.5” x 13.5” x 9.5” dimensions, a 40L capacity and weighing only 2.86 lbs., this lightweight backpack is perfect for European travel. It is versatile and durable so it will stand up to being thrown on and off luggage racks in public transport as well as many multi-day hikes. The main compartment is accessed by a front U zip. Comfortably padded harness with hip straps. Zippered security pocket in the top lid and additional zip pockets in the hip straps for valuables. The harness doesn’t tuck out of the way when not in use. If light weight and comfort are your priorities, then the Zulu 40 is easily among the best carry-on luggage for Europe. If the outdoorsy vibe is less your scene and you’d prefer something a little more sleek and urban in style, this could be the bag for you. Its minimalist appearance hides a huge amount of functionality that makes this the best backpack for traveling through Europe provided you’re not going to be walking long distances. The shoulder straps zip away behind the back panel when not in use, leaving 2 padded grab handles for carrying. Internal compression straps help to keep things in place. Not designed to be walked with for too long, the harness and back panel are basic with no hip straps. This bag is a simple design that does its job with no fuss. It is spacious, durable, and ideal for urban travel. This handsome 35L travel pack is an easy decision to make if you’re looking for all the convenience of a suitcase in a backpack form. It is spacious, durable and sleek but with all the pockets and compartments you could need for organization. Zips open completely like a suitcase for maximum convenience. Extra internal pockets for organization along with a laptop sleeve compartment at the back and an external front pocket. Made of durable, recycled polyester. Provided no hiking is on the agenda, this might just be the most perfect travel backpack for Europe if you’re traveling with a laptop and appreciate the simplicity of a bag that opens like a suitcase. This another sleek, urban design with a deceptive amount of functionality and storage space. 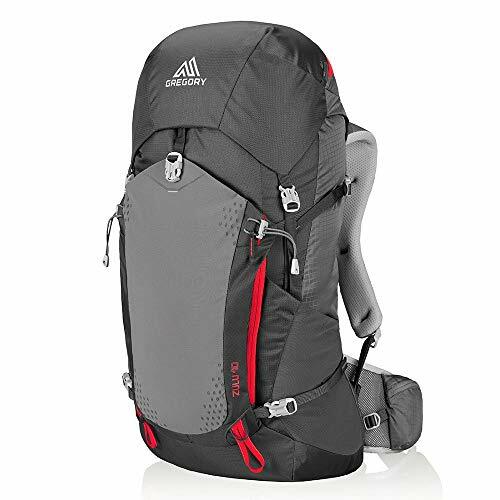 Ideal for European hand luggage restrictions, this could easily be the best backpack for 3 weeks in Europe. The whole bag opens up like a suitcase revealing mesh compartment in the lid and 2 interior compression straps over the main compartment. The zippered front pocket reveals more organization options while an extra zip allows the whole bag to expand another 10%. The harness is minimalist. The shoulder straps are padded but the hip strap is a piece of webbing which could be a little uncomfortable over longer distances. 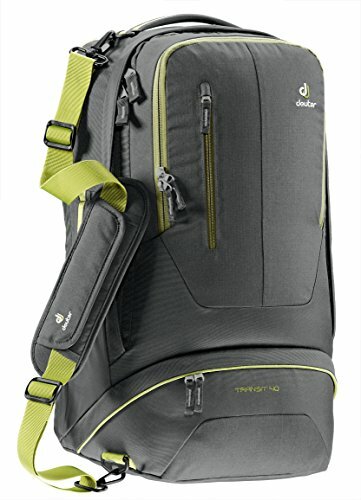 This bag has already passed the test for many travelers, being a popular option for trips of 2-3 weeks around Europe. This is the backpack you’ll want if security is a concern. Pacsafe are the leaders in backpack security and this backpack is loaded with safety features, while also being versatile, comfortable and the perfect capacity for travel through Europe. Main compartment is accessed through the back panel or a top zip with extra zipped front compartments. All zips are lockable, with RFID protection and slash-proof wire mesh built into the backpack material. It comes with a built-in rain cover and comfortable padded shoulder and hip straps. Access to the main compartment may take a bit of getting used to through the back panel. If security is your priority, this is the backpack you’ll want to be traveling with. Aside from all the anti-theft features, it is comfortable to wear and once you get used to the pocket organization, easy to use. This 22” wheeled duffel bag is a great alternative to the backpacks above if you want the option of being to wheel your luggage. Though cobble streets are something to be aware of, wheeled luggage can make a lot of sense for urban travel, especially if you have back or shoulder issues. Front opening via a zipped flap. Interior compression straps to keep your things secured inside your bag. Lockable zippers keep your things secure. Large treaded wheels will handle some bumps. There’s no way of carrying this on your bag if the situation arises, but it does have great duffel bag straps and grab handles. 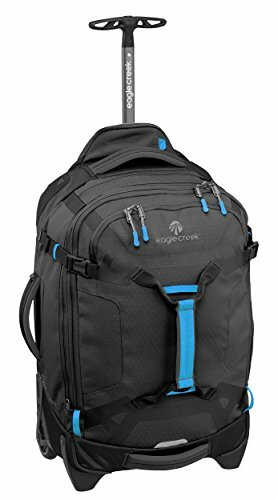 This is the best wheeled backpack for Europe travel, giving you a versatile luggage option that can be dragged behind you or carried like a duffel bag. Firstly, why is Europe any different from the rest of the world when it comes to choosing a backpack? Traveling in Europe often means moving from city to city every second or third day. You’re also likely to be emptying it and repacking it far more often than if you were going on a destination holiday where you stay in the same place for 2 weeks. Then there are the lovely cobbled streets that Europe is full of that make dragging a wheeled suitcase just plain awkward. The best travel backpack for Europe will be comfortable to wear, with easy access, and be a small and compact size. Basically, this means you’ll want a bag that is easy to carry and isn’t going to drive you crazy wearing it for any length of time. Ideally, it will have hip straps for good support and weight distribution as well as well cushioned shoulders and a contoured, mesh back panel. Waist straps are admittedly a personal preference. Not everyone loves them. But if you’re going to be walking for any reasonable distance, hip straps will take a lot of the weight off your shoulders and make your walking experience much more enjoyable! You’ll also want your backpack to have easy access and a good number of pockets so that you can keep your things organized without having to up-end your bag every time you want to find something. Trust me, emptying your pack across your dorm bed multiple times in one night gets old very fast! So, instead of top only drawstring access as is the case with most backpacks, it’s worth going for backpacks that zip open completely either with a clam style opening or into two halves like a suitcase. You will either be traveling by bus or train, and maybe even with the occasional cheap flight. This means the whole thing needs to be easy to grab and stash in luggage racks. Having a couple of extra grab handles can make all the difference in the world when you’re reaching across somebody to the luggage rack on a train. But size is also a huge factor here. You will be doing yourself a huge favor if your bag fits within the limits for carry-on baggage. Aside from saving a LOT of money on checked in baggage fees, you just don’t need a lot of stuff when you’re traveling in Europe. You can easily find places to wash your clothes and if you find that you really desperately need something once you’re on the road, you’ll easily be able to borrow or buy it once you’re there. Travel in Europe is better when you’re not prepared for every possible scenario and weighing yourself down with a huge 70L pack! Think, free spirit, not tied down, literally! The main budget airlines in Europe are Ryanair, Easyjet, Wizz Air and Wow Air. There are others but these are the most common. And, they all have their own fairly strict hand luggage restrictions. Ryanair allow a 10kg bag with dimensions no greater than 55cm x 40cm x 20cm or 21” x 15” x 7”. Easyjet’s dimensions are a little larger at 56cm x 45cm x 25cm but it pays to prepare for the smallest restrictions as Murphy’s law will guarantee that that will be the airline with the cheapest flights on the day! In general, a 40L capacity is the maximum that you’ll be able to squeeze into hand luggage restrictions, but 35L or 30L are safer options. Though most of the 40L bags above are within hand luggage restriction when empty, if you fill them to bursting and they lose their shape, they may well be over the size limit. So don’t go by capacity alone! Make use of compression straps and packing cubes to help organize and compress your things. Last but not least, there are security features to consider. You’ll probably be staying in hostels with shared dorms, which means that paying more attention to security features such as locking zips will also be advantageous. If you can feel safe knowing that your things are relatively secure inside your backpack while you’re out soaking up the sights, you’ll have more fun and worry less. A durable bag can easily be locked to a dorm bed with a small bike lock. This along with the locking zippers is a pretty secure combination and will deter most opportunist thieves. and not too many surplus straps flapping about the place. I guess it’s to be expected that not all of these features are likely to be found in one bag. There are usually compromises to be made, and these will come down to personal taste. So, it’s a case of deciding which factors are a deal breaker for you and which you can do without. For example, I personally pass on the laptop compartment as I’m happy with the padded laptop case that I already own. But maybe hip straps aren’t your thing. Or maybe you’re not too bothered about pockets and want to go for a more minimalist look. Whatever your jam is, if you can get 8 out of the 9 above features down, you’re well set for some sweet travels around the continent. So, travel safe and enjoy! Hopefully, this article has provided you with some helpful information in preparation for your travels through Europe. Be sure to download our excellent eBook on solo travel safety before your depart, and feel free to comment below.